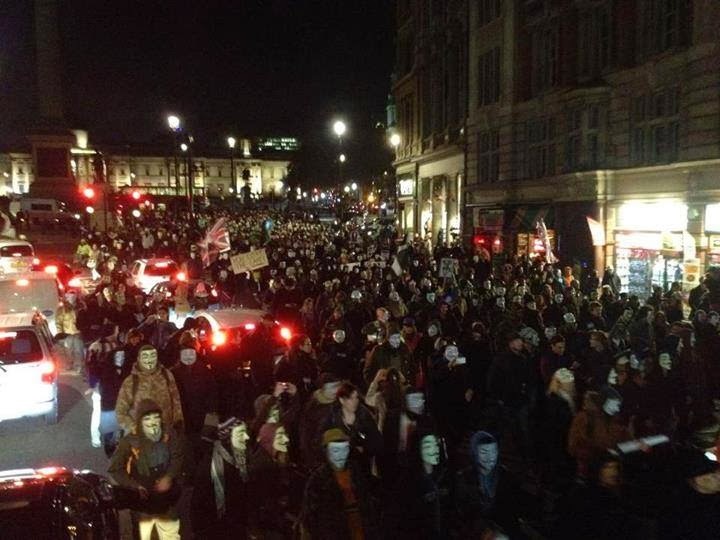 Home » london » million mask » protest » A photo from today's Million Mask March in London. A photo from today's Million Mask March in London. London was the biggest of the worldwide chain of protests. In Parliament Square protesters burned energy bills to oppose the rising cost of fuel and there were minor clashes with police in riot gear as demonstrators also gathered near Buckingham Palace, where a fire was started yards away from its gates. No arrests took place, according to the Metropolitan police.